Who are they? They are officers, enlisted, mothers, wives, daughters,and sisters. Women in the military are ready to lay down their lives for our country. They are trained for war, securing our homeland, and assisting in times of disaster. And yet, upon their return home they often find the adjustment to civilian life is not what they expected, with challenges distinct from their male counterparts. The skills and talents of these women are often overlooked when they seek civilian careers. Physical and emotional challenges from their military service can create barriers to successful family and community reintegration. These are our daughters, sisters, mothers and wives; and the skills and talents that made these women great service members, make them all the more valuable as family, community and business leaders. It is time that we recognize this, and time that we as businesses, community and government leaders support their transition journey with the resources that they need and deserve.With your support, BPW supplies women veteran professionals and business owners in North Carolina grant funding for training, startup capital, or business related expenses. 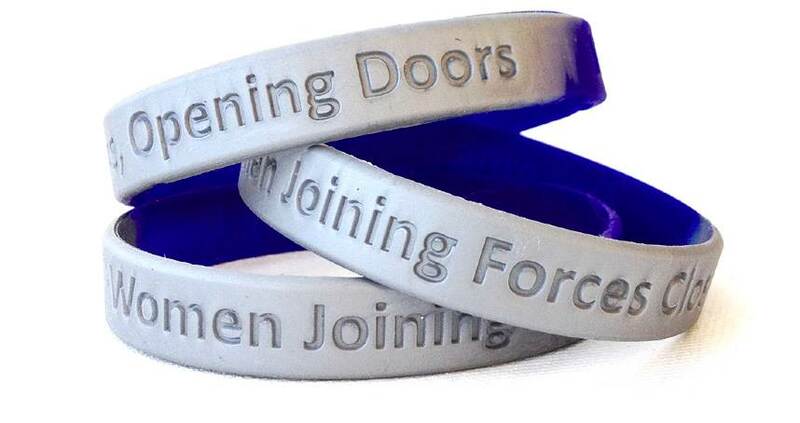 Wristband Fundraiser - Purchase a wristband for $5.00. 100% of the proceeds go towards the BPW/NC Women Veterans Grant. The BPW/NC Women Veterans Grant complements BPW Foundation's Women Veterans program, assisting women veterans, military and veteran spouses, and caregivers of wounded warriors to advance in their careers.